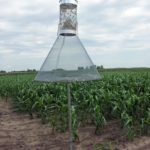 Corn earworm moth numbers have been relatively low this season until recently, as numbers have exploded in pheromone traps. These moths will lay their eggs on numerous crops, with late-market sweet corn being particularly vulnerable at this time. 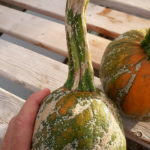 Tomato and pepper growers should also be aware of the potential for earworm (also called fruitworm) damage, especially if these crops are surrounded by cornfields that are drying down and are no longer attractive for egg laying. 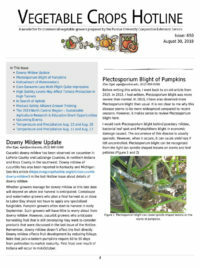 Entomologists are looking for the lettuce aphid, Nasonovia ribis-nigri. If you are growing lettuce, or other leafy greens, including under protected agriculture structures, please keep your eyes out for aphids. We will be using these insects in research examining pest management strategies in hydroponic vegetable production systems. 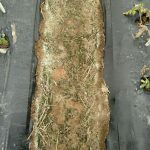 We are aiming to develop low-input IPM strategies, compatible with organic production, to effectively manage aphid pests. Contact Dr. Laura Ingwell at (765) 494-6167 or lingwell@purdue.edu. Live specimens are needed, we will verify the identification of the species. Purdue Extension will be hosting a Produce Safety Alliance (PSA) Grower Training on September 28th. 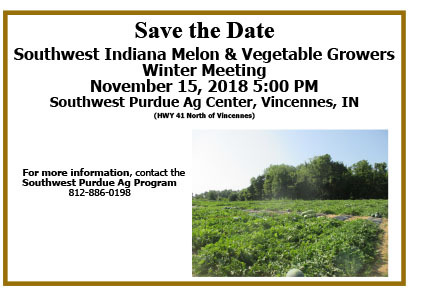 The training will be held in the basement of the SWPAP building at the Southwest Purdue Agricultural Center, 4369 N. Purdue Rd., Vincennes, IN 47591. This program meets the training requirements of the Food Safety Modernization Act Produce Safety Rule. Cost is $100 and covers course manual, completion certificate, and lunch. 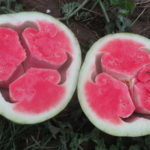 Register by going to www.SafeProduceIN.com and clicking on the “Get Trained” option. Participants must pre-register. Registration will be closed on 9/26/18. For more information, contact Scott Monroe at (812) 886-0198.